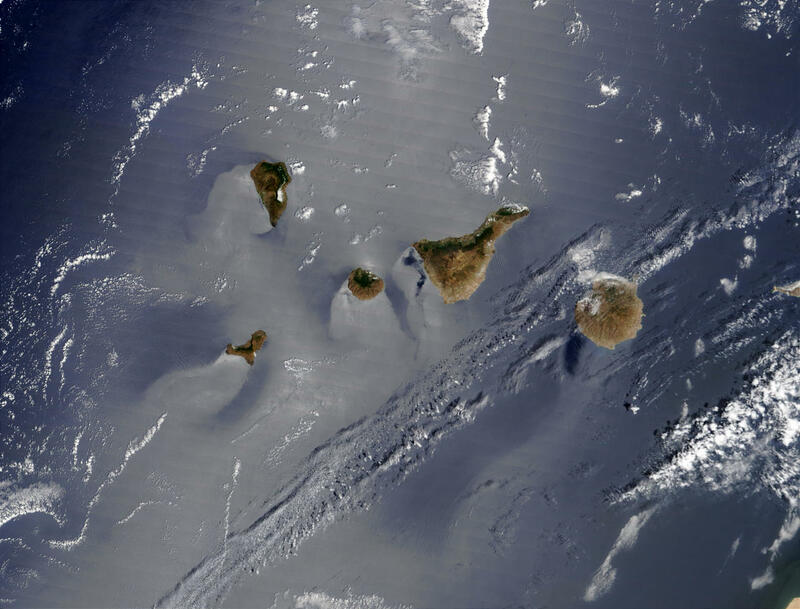 Canary Islands registered a mostly dry of January 2019. As for the temperature anomaly, it was around -0.7 degrees, being in the Izaña observatory almost the same order but with a positive sign (1.0°). In this regard, he noted that the contribution of night temperatures to this cold environment was somewhat higher than the maximum, with percentiles of 23 and 33 the mean of the minimum and the maximum, respectively. As for daily temperatures, they did not reach anomalous values, being almost always below normal, except for days 5, 6, 13, 20 and 27 that were warm, being the 13th the warmest month, registering in a third part of the stations the absolute maximum, of more than 25º, like those of La Aldea de San Nicolás 27,8°, La Palma airport, Fuencaliente (Salinas), Puerto de la Cruz or Tazacorte. In contrast, the lowest temperatures on the coast, where no tropical nights occurred, occurred on days 10 and 11. In those days almost half of the stations registered the absolute minimum. Anyway, the lowest temperatures on the coast were observed on day 5 at La Aldea de San Nicolás 7.1° and on day 21 at Lanzarote airport 8.3 °. It also mentions the Teleferico del Teide station, at an altitude of 3550 meters, which recorded a minimum of -11.5° on the 17th and a maximum of 12.2° on the 29th. To this, he adds, that above the 2000 meters of altitude, numerous frosts were observed, up to 20 in Las Cañadas station, five above the average. Thus, January 2019 has been the coldest month of the last 10 years in the municipalities of Maspalomas, Telde, Candelaria and El Pinar. As for seawater temperature, it experienced an almost monotonous descent from 20° to 19°, with a slightly positive average anomaly of 0.2°. On the other hand, with regard to rainfall, January 2019 had a dry behavior although less accentuated than in December 2018, so the deficit of rainfall so far this year hydrological (from October 1, 2018 to January 31 2019) is around 31%. Thus, the total rainfall presented four main maxima, with centers in Las Mercedes 121.2mm, Cruz de Tejeda 95.2mm, La Matanza 84.2mm)and Alto de Igualero 64.8mm, accumulated for the most part during three episodes of rainfall. Specifically, on 17 and 18 January 2019, which passed through the archipelago a cold front in frontolisis, left general rainfall of more than 25 mm in heights located between 550 and 1,750 meters of Gran Canaria, La Gomera and Tenerife, reaching intensities “very strong” in areas such as Las Mercedes, La Matanza and Ravelo, and torrential: Tacoronte 69.6 mm/h. In the case of Izaña, 26 mm were recorded in the form of snow, about 70% of the amount expected in a month of January. Also, on January 20 and 21 there was a new cold front, waning identity, which left almost general rainfall, but less abundant than the previous episode, with a main core of 19 mm in Anaga – Las Mercedes and another secondary 10 mm between La Matanza and La Victoria. In this last episode, he pointed out, the northern flow intervenes remarkably, leaving weak and little copious precipitations in almost half of the stations, with maxima in Las Mercedes 12.0mm and Valleseco 7.7mm. 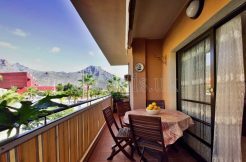 On the other hand, the nocturnal fresco encouraged the formation of dew, both on the coasts and in the midlands, four days at Lanzarote airport, half of those expected, and six days at Los Rodeos, tripling the average value. Finally, he indicated that the insolation was above the normal values ​​in almost all stations, highlights the surplus of 32% in Izaña, with 289.4 hours of sunshine, while in the Tenerife North airport there was a deficit of 31% with 118.2 hours of sunshine. With regard to the wind, there were no significant episodes of significant force, as they only observed very strong gusts in 6% of the stations on days 13 and 17, registering the maximum streak on the 13th in Izaña 103 km/h and on the coast the highest one was in Agaete on the 17th 101km/h. Finally, the days of calm, of the expected an average of two in the month of January, occurred on day 1 only in the eastern islands, where visibility was reduced to 7km Lanzarote airport, and the days of the 13 to the 15 in all the islands, as much in the coast as in the midlands, without getting to reach the high zones.